A thrilling blend of classic Rock'n'Roll, Boogie Woogie and Rockabilly with traces of Country and Skiffle, tempting you to dance, bop and jive. 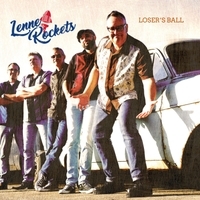 The LenneRockets - a breathtaking relaunch of the legendary band "The Lennerockers". Over 30 years of Rock'n'Roll experience with the ambition to keep the fire burning. A wild and hot stage performance combined with self penned and handmade music creates an unique appearance and an everlasting impression.